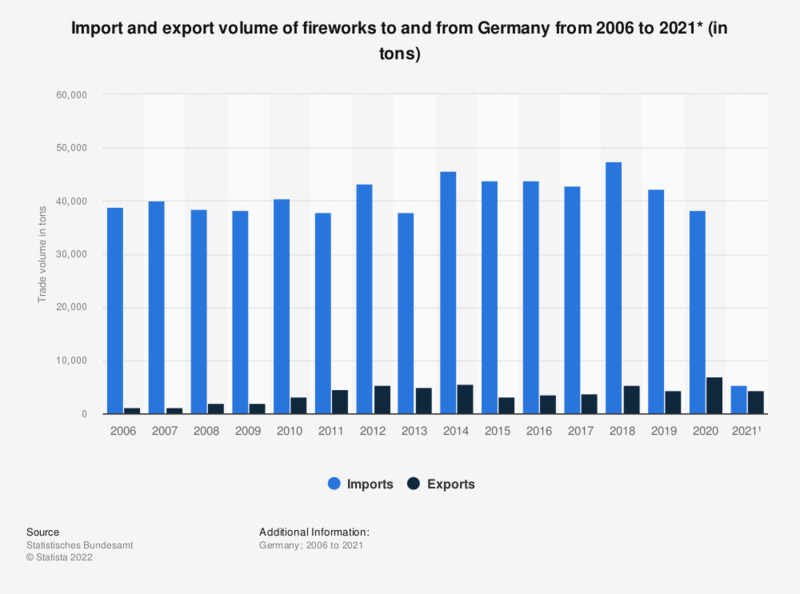 This statistic compares the import and export volume of fireworks to and from Germany from 2006 to 2017. In 2017, 40,065.3 tons of fireworks were imported to and 2,253.1 tons exported from Germany. *Preliminary. To access this statistic, click the web link and type the code "51000-0013" into the search bar. Figures refer to product group WA36041000.